The Latvian Security Police have announced the arrest of a man who is suspected of spying for a foreign country, with some reports claiming it is Russia. The Latvian state-owned news agency, LETA, said late last month that the man, who has not been named, was arrested by Security Police officers on Tuesday, December 19, 2017. However, the arrest was not announced by Latvian authorities until recently. A statement issued by government authorities in Riga said that the man’s arrest had been followed by searches at several different properties in the Latvian capital. The detainee, who is reportedly a Latvian national, is being investigated for espionage and has already been charged with illegally possessing a firearm. A court in the Latvian capital ruled last week that the suspect should be remanded in custody. Initially, the Security Police refused to identify the detainee or reveal the name of the country that he allegedly spied for. But some private Latvian news outlets, who are believed to be close to the government, said on the morning of February 7 that the detainee worked for the Russian state. One report claimed that the man was tasked with collecting military-related information from the region of Latvia that borders Russia. He would then share the information with his Russian handlers, according to the report. On February 8, the Security Police confirmed that the detainee was indeed suspected of working for Russia. According to the agency, he gave his Russian handlers information about the National Armed Forces, Latvia’s military force. Also on February 8, Latvian authorities warned the country’s citizens that they should remain vigilant. A government statement said that Moscow was intensely interested in collecting classified information about Latvia and that the Russian secret services preferred to recruit Latvians when the latter visited Russia. Reports late last week said that, if found guilty of spying, the detained man could face up to 14 years in prison. The role of the CIA in funding and helping to organize anti-Soviet groups inside the USSR has been known for decades. 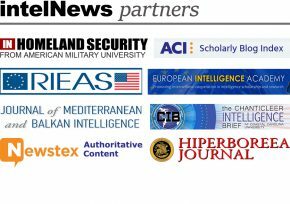 But, as intelNews explained in part I of this article, a batch of recently released documents, unearthed by Russian-language service of Latvian state television, sheds light into the CIA’s early understanding of the identity, strength and operations of these groups. They also contain new information about the background and structure of underground anti-Soviet groups like the Forest Brothers in Latvia. Judging that Latvia’s anti-Soviet underground movement could be “of considerable operational value”, the CIA initiated project ZRLYNCH in the summer of 1950. Operated out of the CIA’s Munich station in Germany, ZRLYNCH was intended as a long-term project supervised by the Office of Policy Coordination, an early Cold War covert operations outfit that in 1952 was absorbed into the CIA’s Directorate of Operations. The Latvia operation was part of a wider effort by the CIA, which was aimed at subverting Soviet power in Eastern Europe. For the first year of ZRLYNCH, the CIA’s Office of Policy Coordination asked for —and received— a budget of $30,000. The top-secret document unearthed recently by Latvian state television states that the budget was to be used primarily for intelligence collection inside Soviet territory, as well as for covert operations by the Forest Brothers (for information about the group, see part I of this post). The latter were to conduct sabotage activities as part of organized guerrilla warfare. These activities are not specified in the CIA documents. By the end of the first year, it appears that the CIA had recruited three Latvian agents in Europe (one in Sweden and two in Germany), who were acting as mediators between the CIA and the Forest Brothers inside the USSR. Less than three years later, the ZRLYNCH budget had risen to $134,000, with $52,000 going toward covert —mostly psychological— operations and the rest being used to fund intelligence collection efforts. The CIA was also funding the travel expenses of leading Latvian émigré figures in the US, and was diverting tens of thousands of dollars toward Latvian émigré conferences in America, which aimed to unite the various political factions of the fragmented Latvian community in the States. But the CIA officers behind ZRLYNCH were extremely concerned about operational security. They did not want the Kremlin finding out that the Agency was behind efforts to stir up armed resistance against Soviet power in the Baltic region. One CIA document states that there would be no tolerance for “any breaches of security” that compromised ZRLYNCH. Consequently, any action that uncovered the link between the US government and the Forest Bothers would lead “to an immediate cessation of financial support” for ZRLYNCH, states the memo. Ultimately, ZRLYNCH failed to seriously challenge Soviet power in Latvia. Most of the members of the Forest Brothers were killed during Red Army counterinsurgency operations, and much of the organization’s structure was penetrated by agents of Soviet intelligence. Eventually, the Forest Brothers became extinct in 1957, when their last members emerged from the forest and surrendered to Latvian and Soviet authorities. Recently declassified documents from the archive of the Central Intelligence Agency detail financial and material support given by the United States to groups of armed guerrillas in Soviet Latvia in the 1950s. The documents, initially marked ‘Top Secret’ but now declassified, show that the CIA was aware and supported the activities of an anti-Soviet guerrilla army known as ‘the Forest Brothers’. Known also as ‘the Forest Brethren’, the group was formed in the Baltic States in 1944, as the Soviet Red Army established Soviet control over the previously German-occupied states of Estonia, Latvia and Lithuania. The Soviet Union had previously occupied and annexed the three Baltic countries, in a failed attempt to pre-empt Germany’s eastward military expansion. Groups like the Forest Brothers consisted of the most militant members of anti-Soviet groups in the Baltic States, many of whom were ideologically opposed to Soviet Communism. The role of the CIA in funding and helping to organize anti-Soviet groups inside the USSR has been known for decades. But the recently released documents, unearthed by Russian-language service of Latvian state television, shed light into the CIA’s early understanding of the identity, strength and operations of these groups. They also contain new information about the background and structure of underground anti-Soviet groups like the Forest Brothers in Latvia. The first declassified CIA document that contains information on anti-Soviet resistance in Latvia is dated November 29, 1949, and is titled “The Organization of the Underground Resistance Movement in Eastern Europe”. It was soon followed by two other documents, entitled “Latvian Resistance to Russian Occupation” and “Request for [Support] to the Latvian Resistance Movement”. The latter document was produced in mid-1950, after the CIA was able to establish contact with anti-Soviet Latvian expatriates living in Germany and Sweden. From these contacts, the CIA was able to determine that active (and possibly armed) resistance to the Soviet Red Army in Latvia was limited to approximately 5,000 individuals, many of whom conducted periodic guerrilla attacks against Soviet troops or installations. However, the CIA report said that, as of 1950, the majority of these armed guerrillas remained dormant, “waiting for a more opportune moment” to return to action. The CIA memorandum also stated that clandestine radio communication existed between the leadership of Latvia’s anti-Soviet underground in Riga and exile Latvian communities in Sweden. Note: Part II of this report can be found here. A former employee of Germany’s spy agency, who was recalled from his post abroad after dating a foreign woman, has lost his legal battle to be compensated for lost earnings. The former intelligence officer, who has not been identified by name, worked for Germany’s Federal Intelligence Service, known by its initials, BND. From 2006 to 2008, he served as the BND’s station chief in Riga, Latvia. The post implies that he the highest-ranking German intelligence officer in the small Baltic state. According to court documents, the BND station chief had explicit directions from his employer, in writing, not to fraternize with locals while serving in the Latvian capital. The instructions expressly forbade romantic affiliations with locals. But, according to documents from the legal case, the intelligence officer failed to comply with agency policy and began dating a Latvian national. Soon he fell in love with her and invited her to move in with him. It was allegedly after the local woman moved in with him that he notified the BND about their relationship. The intelligence agency promptly recalled him from his post and demoted him —a move that, he claims, effectively ended his career. He therefore sued the BND, asking for reinstatement of his job and €400,000 ($420,000) in lost earnings. The plaintiff’s lawyers argued that, prior to inviting the woman to move in with him, he asked Latvian intelligence to run a background investigation on her, which came out clean. They also argued that Latvia is a member of the North Atlantic Treaty Organization and that the BND cooperates with its Latvian counterpart. However, according to German news reports, the court rejected the plaintiff’s claims and threw out the case. The former BND officer has also been ordered to pay the legal costs associated with the court case. Intelligence officers posted abroad are typically warned to avoid entering in sexual or romantic relationships with non-vetted foreign nationals. Intelligence agencies fear that these situations could give rise to infiltration by rival agencies, or even enable extortion and blackmail to be carried out by adversary intelligence operatives. Berlin football club cancels deal over Stasi controversy. FC Union Berlin has dumped its main sponsor, International Sport Promotion, over allegations that its CEO, Juergen Czilinsky, was a member of the Stasi, the East German secret police. US officials targeted by fake emails. Malicious emails claiming to be from the US Department of Homeland Security, but which actually originate from Latvia and Russia, are being sent to Pentagon and state and local officials in the US. Similar news emerged from Australia last week. Emirates expel Thai ex-premier. Ousted former Thai premier Thaksin Shinawatra was expelled by the United Arab Emirates (UAE) on Tuesday, and has gone to Montenegro. Interestingly, Montenegrin authorities have supplied Thaksin with a Montenegrin passport.